Our Ski Centre staff consists of fully qualified, Garda-vetted skiers and snowboarders who have years of experience in training and developing students of all ages and levels. Whether you're hitting the slopes for the first time or looking to further develop your skills, our team have experience working with skiers & snowboarders of all levels. Enjoys training and competing in Masters Ski Racing (Pocket Rocket)! Heli skied in the Canadian Rockies, dreams to ski the champagne powder in Japan. Represented Ireland at European race meetings at Junior level until the age of 17. 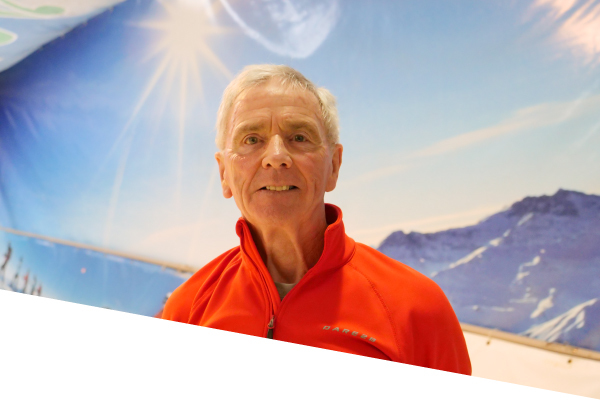 Ski Centre instructor for 5 years and has been a guide on the Ski Centre's last 2 Ski trips to Cervina and Kitzbuhel. On his 70th Birthday, Frank went heli-skiing in Canada. Has been a ski instructor for almost 10 years. She loves to Ski anywhere that has long runs and a variety of terrain; glaciers, woods & gullies.